This Classical Revival building was designed by William H. Weeks. Library Park, a full city block between Third and Fourth streets, Yolo and Mill streets, formerly the site of the Papst Flour Mill and now surrounded by residences, provided the setting for the Orland Carnegie library. The small building is surrounded by tall trees, including Cedar of Lebanon, redwood, elm and magnolia. In 1971 a larger library was built, immediately adjacent in Library Park. 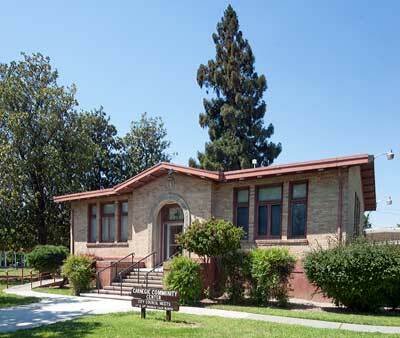 The Carnegie building now hosts City Council meetings in addition to community gatherings.